If you want to enjoy the highest level of performance and efficiency from your vehicle, regular oil changes are a requirement. This is especially true for Porsche vehicles; however, it’s crucial that you’re careful who you trust with the task of servicing your vehicle. Although an oil change may seem minor, it’s important that you let Porsche certified technicians handle servicing your vehicle, rather than a mechanic without specialized Porsche training. When to get an oil change depends on a lot of different factors, like your driving habits and vehicle usage. 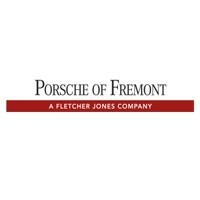 Porsche recommends that vehicles receive oil changes every 10,000 miles, or roughly once a year. However, it truly depends on the frequency at which you use the vehicle and what you use it for. For example, if you’re a sports car enthusiast that regularly uses their vehicle for racing, you may need more frequent oil changes to ensure that your vehicle is performing at the top of its game. If you are a typical daily driver, though, the Porsche recommended 10,000-mile interval should work for you. The best way to find out for sure is to visit your dealership to get their recommendation. Why Do Oil Changes Matter? While it may seem like a tedious task, getting regular oil changes is extremely important to your vehicle’s overall health. If your oil gets too low or too cloudy, you could see a significant drop in the performance of your vehicle. When you go for an oil change, our Porsche certified technicians will check your oil levels, drain the oil, replace the oil filter with a clean and lubricated one, and refill with synthetic oil. This fairly simple process helps to keep your vehicle running efficiently, smoothly, and safely. If you’re ready to give your vehicle the pick-me-up it needs with a fresh oil change, come visit the team at Porsche Fremont, and we’ll help get you serviced and back onto the road. We’re located at 5740 Cushing Parkway in Fremont, CA. To schedule a service appointment over the phone, contact our service team at (510) 279-7060 today!